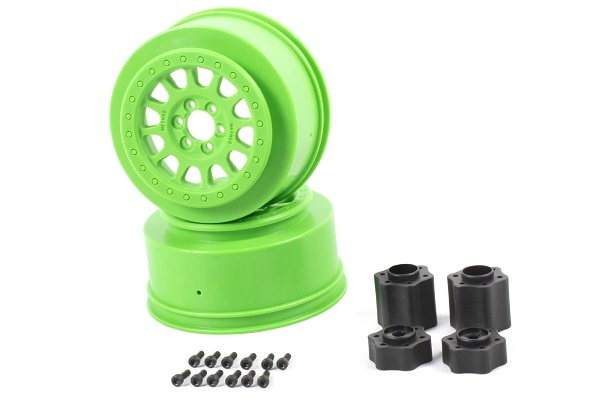 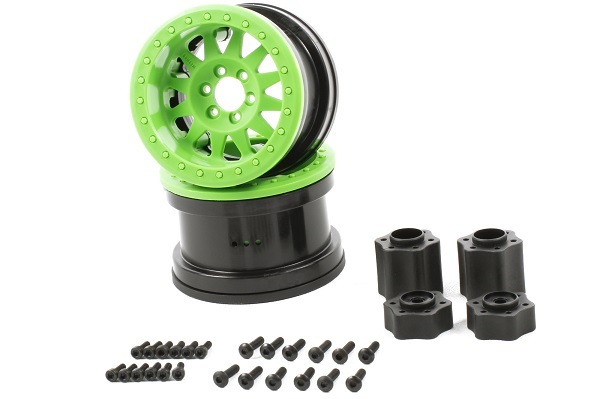 Officially licensed Method 12 spoke beadlock wheels dressed in an aggressive all green style are easy to assemble and they work with most 2.2 tires. 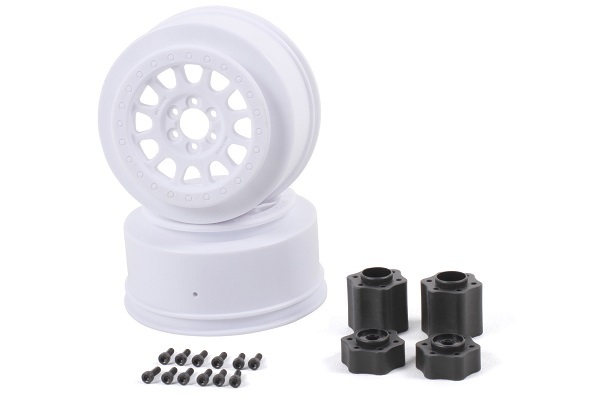 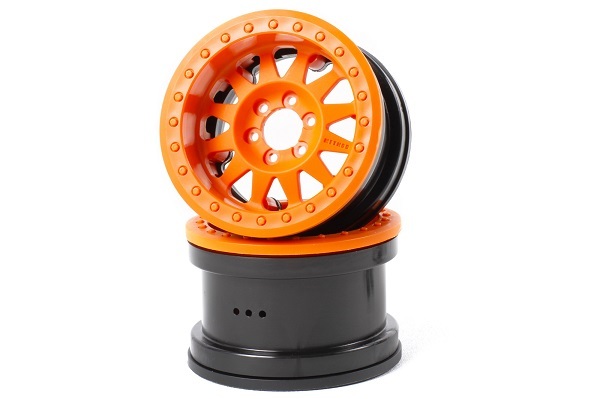 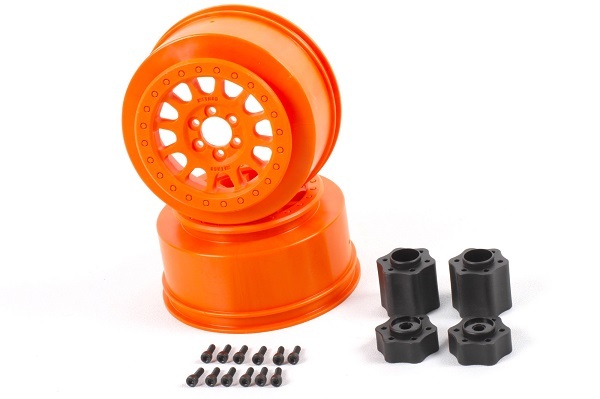 The hub design allows this wheel to mount to any Wraith, 1/10 Yeti, RR10 Bomber, AX10 Ridgecrest/Deadbolt, and SCX10. 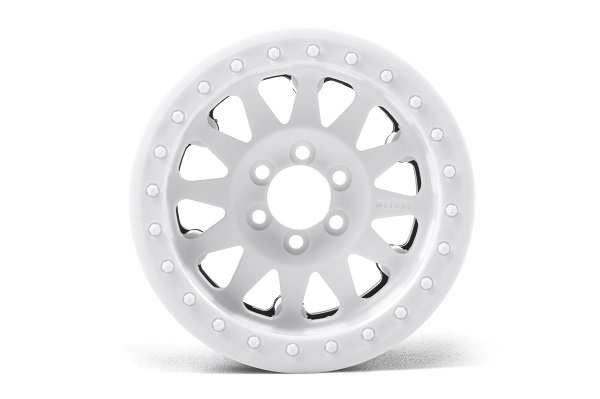 Our IFD™ (Interchangeable Face Design) wheel system makes it easy to dress it up with a new look.